IData’s experienced team knows your administrative systems and understand the business of higher education. Our unique approach to institutional reporting is designed to help your institution develop the tools and processes needed to get the answers you need out of your data. 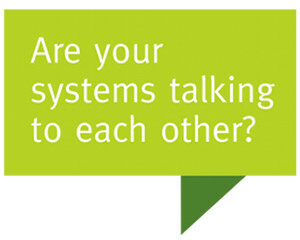 System integration with higher education applications can be a challenge. There are many different vendors, agencies and internal systems that need to connect with an institution’s enterprise data. IData has brought its years of higher education integration services and its innovative product development skills together to offer system integration services and the IDataHub integration platform. IData’s higher education technology consultants offer expert services in custom application development, system implementation, system/data migration, business process analysis, and project management. CRM, enrollment management, retention, housing, document imaging, athletics, alumni, financial, etc.